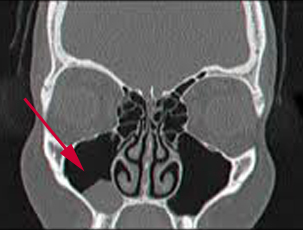 The New York Times published a great story on the dreaded incidentaloma on Jan 17, 2013. An incidentaloma is essentially a chance finding of a mass most likely benign, that was incidentally discovered on a CT or MRI scan ordered for a completely different reason. With such incidentalomas, it leads to patient anxiety causing physicians and surgeons to order even more tests and procedures (which themselves may lead to other incidentalomas). The vast majority of such incidentalomas are "nothings" without any significance, but hard to persuade patients otherwise at times. 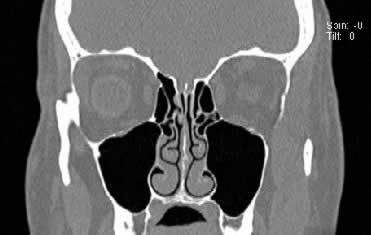 In the ENT world, incidentalomas are very common when CT and MRI scans are performed of the head for a headache, stroke, eye pain, dizziness, or some other non-sinus related complaint. "There is an opacified mass inside the right maxillary sinus cavity [or some other sinus cavity] two centimeters [or larger] in size." IF symptoms are localized to the corresponding mass on the CT/MRI scan, than further management which may include surgery can be pursued. However, the vast majority of patients have absolutely NO symptoms localized to the corresponding abnormality. Radiologists and ENTs report that such a mass is most likely a benign mucosal inclusion cyst for which there is no significance and nothing more needs to be done. However, some patients due to cancer concerns, even insist on having surgery to get it removed, even in spite of the risks associated with surgery including brain fluid leakage, eye damage, etc. I personally usually insist a patient get a 2nd opinion prior to any surgical intervention for an incidentaloma if I'm pressured to "do something" when my gut feeling is to "do nothing."